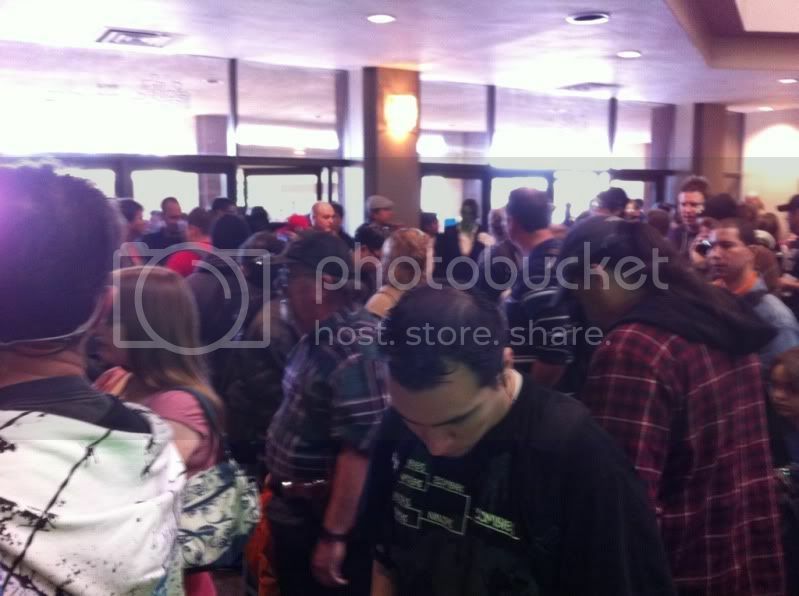 Anxious crowds waiting for the doors to open. AACC founder Jimmy Jay greets the crowd with cosplayers behind him. 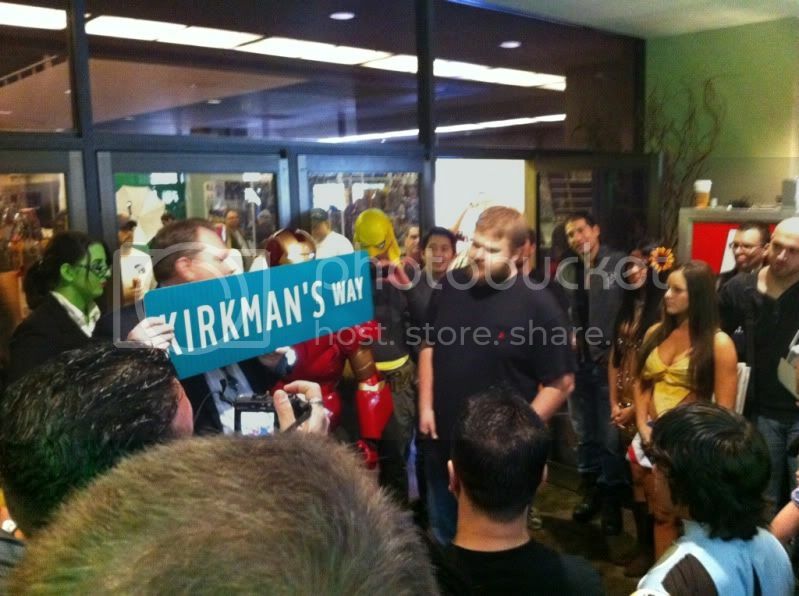 The mayor of Mesa presents Robert Kirkman with his own street as Steve Yeun and Jon Bernthal look on. 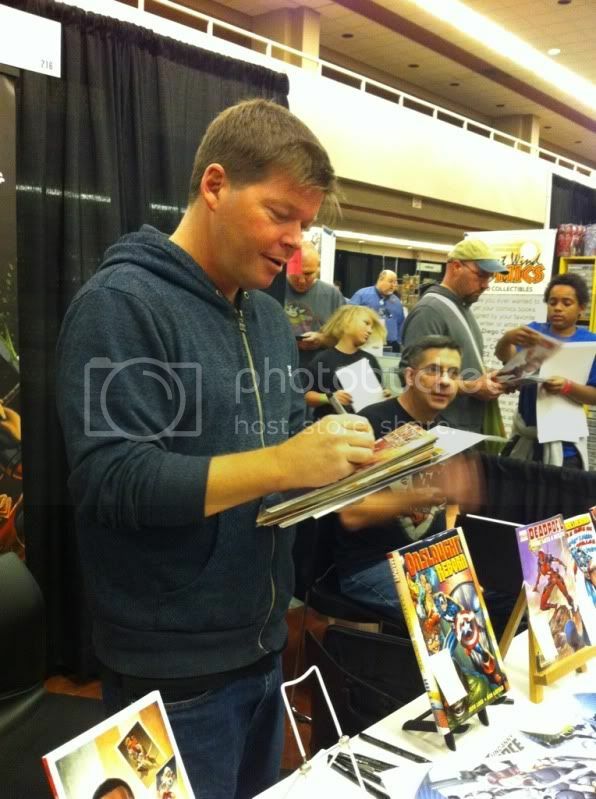 Fan favorite Rob Liefeld signing and sketching for fans all weekend long! 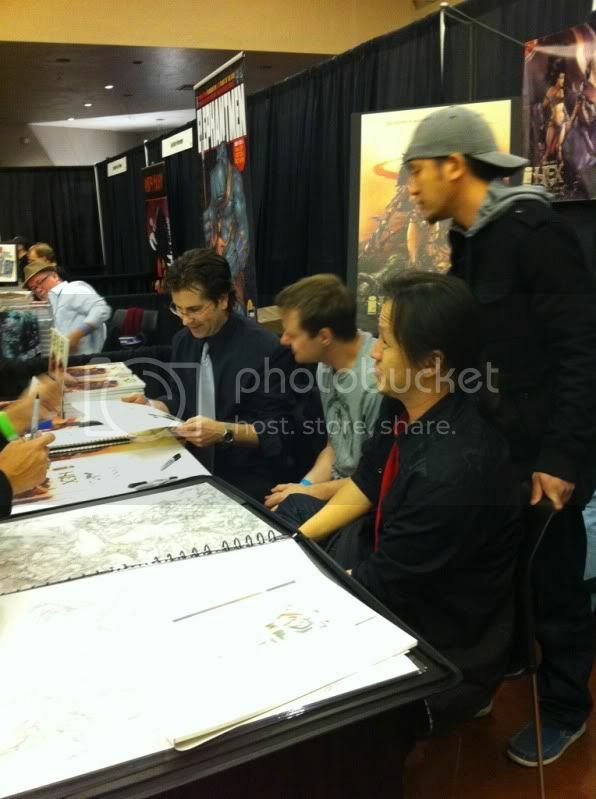 Artist Keu Cha talks to fans about Hex, his pet project, while inker Joe Weems goes over a drawing. 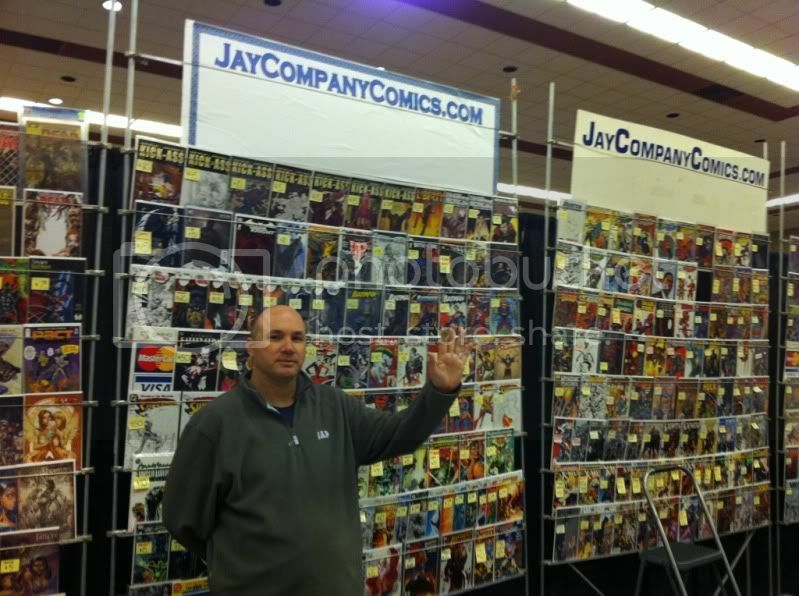 Ryan Ottley and Cory Walker working on their commission lists (photo courtesy of @gelatometti). 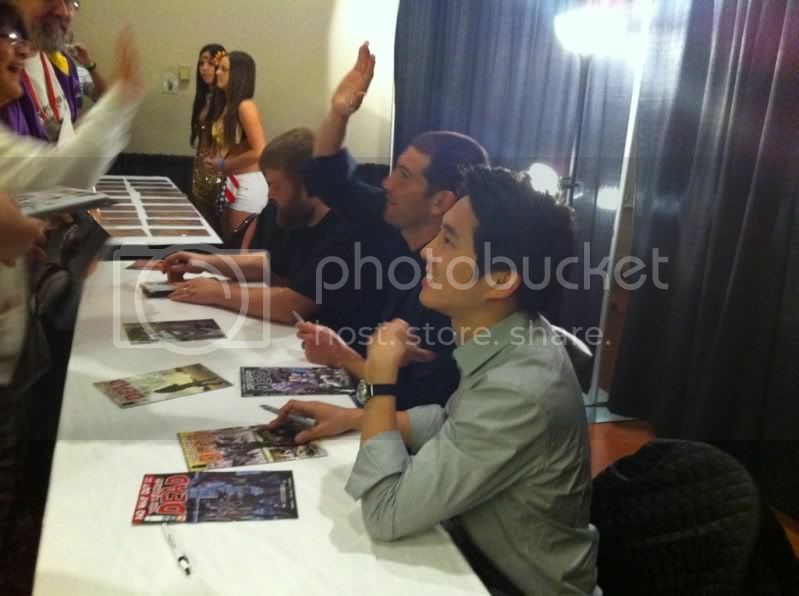 Jon Bernthal gives a fan a high five during the Walking Dead signing. 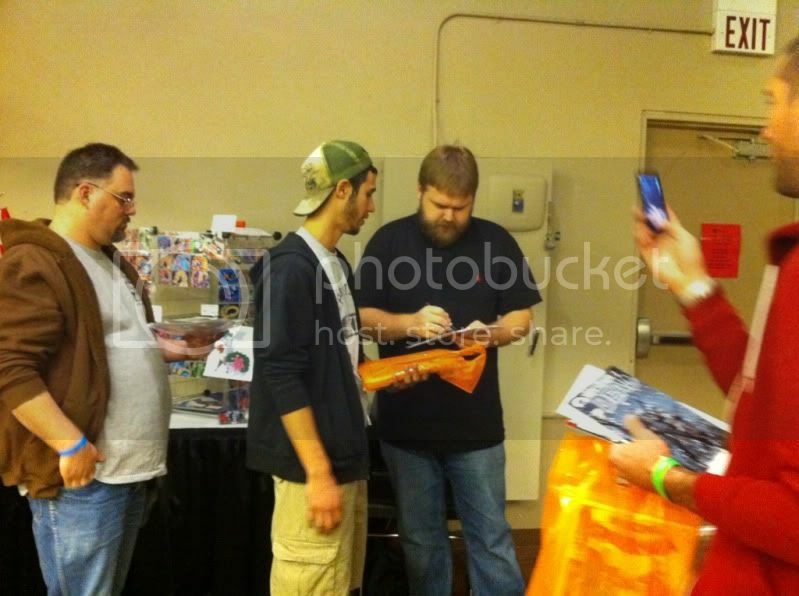 Robert Kirkman walks the line to please the fans. 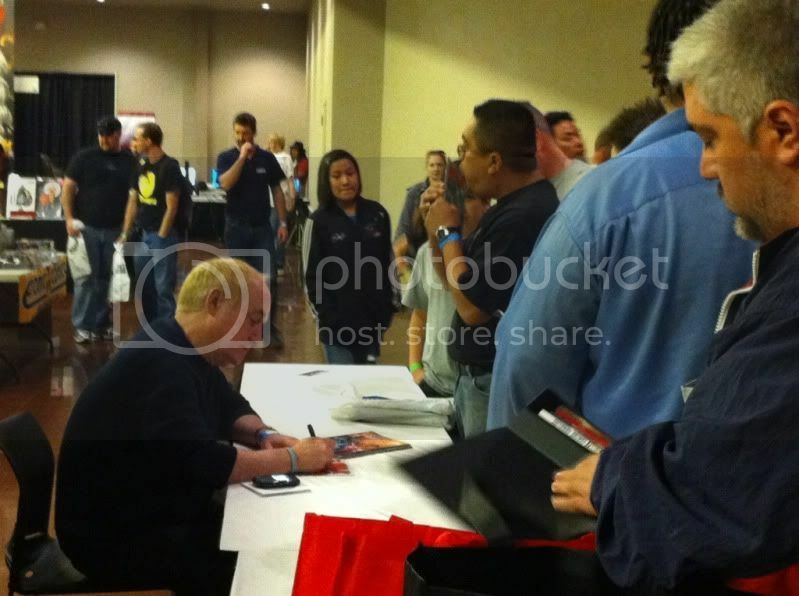 Jeph Loeb signing for fans. 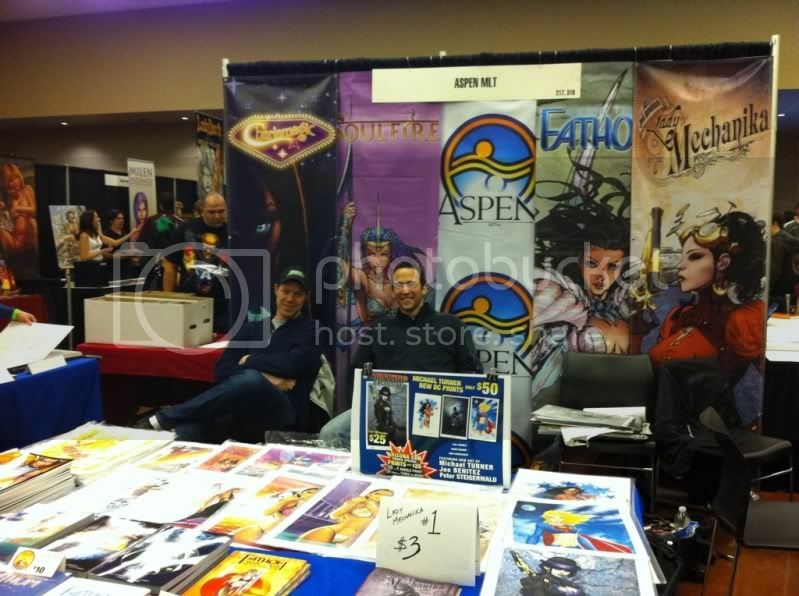 Aspen's JT Krul and Mark Roslan find a peaceful minute amidst the chaos. 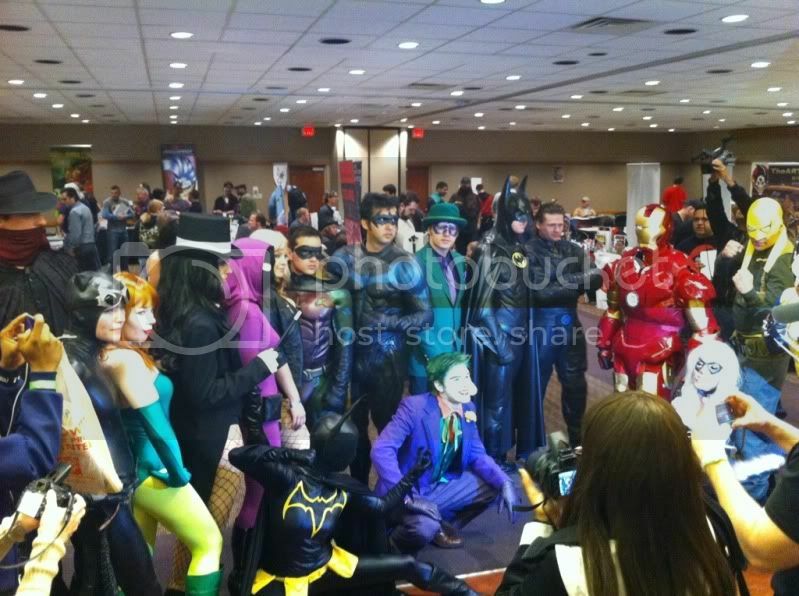 Cosplayers pose for the fans. Retailers peddling their books to fans. 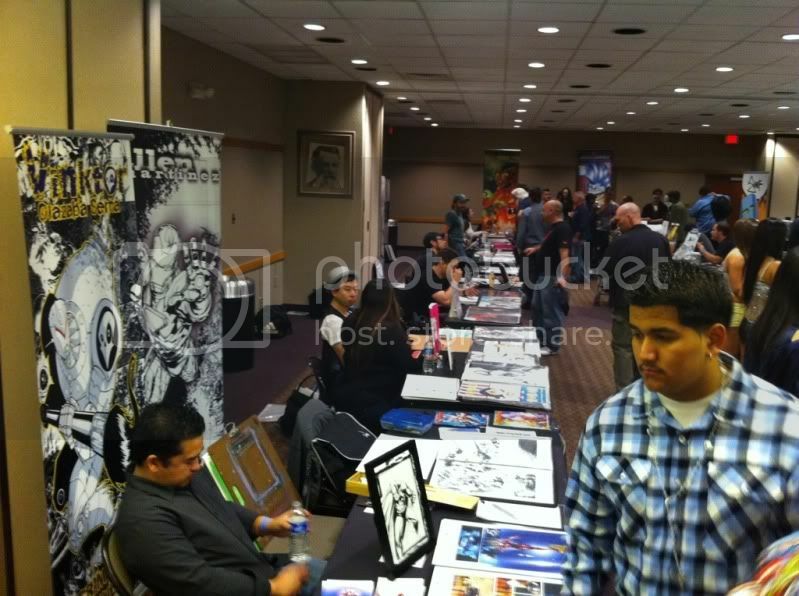 Artist Alley was busy all weekend long. 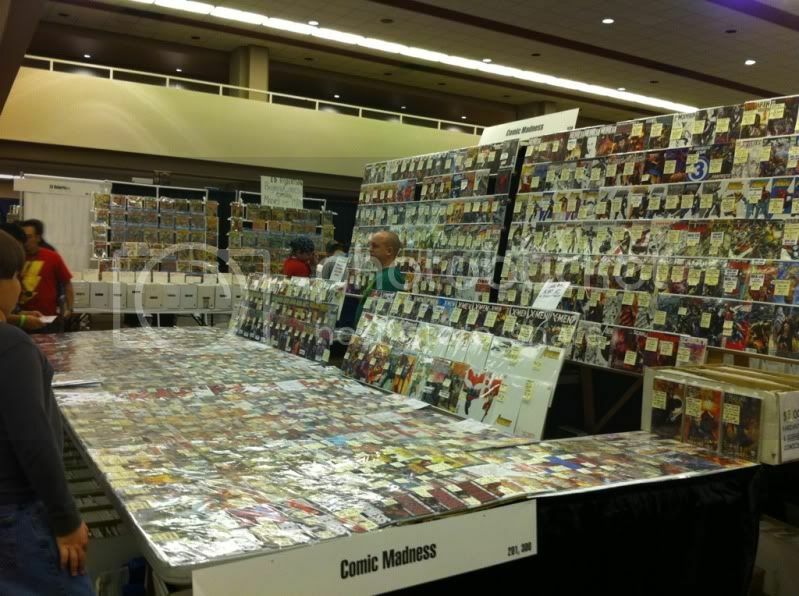 Comic Madness greets guests at the door. 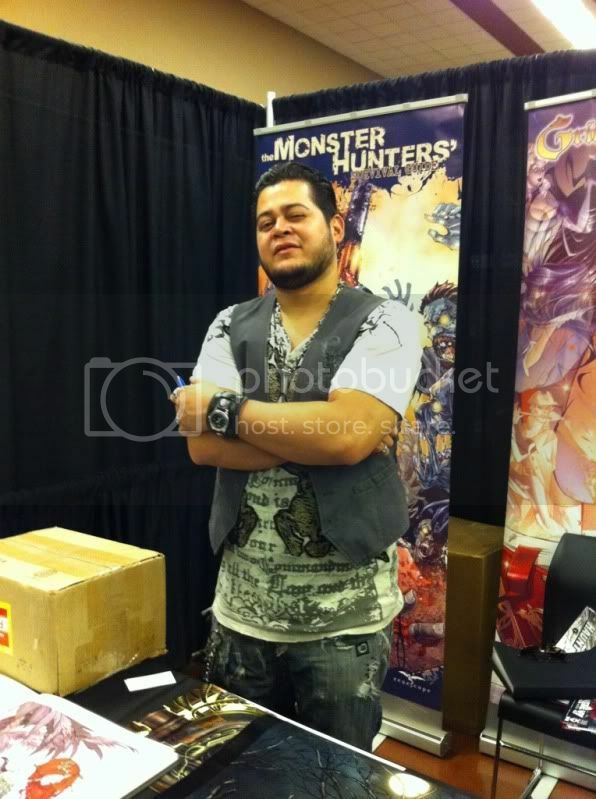 Artist Ebas strikes a pose. 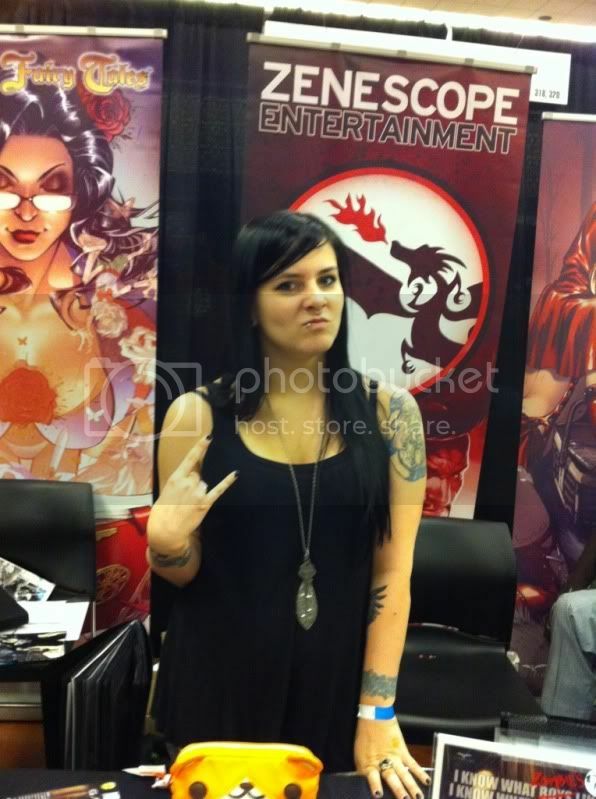 Along with colorist Nei Ruffino. Bill Jay hopes you come back next year! 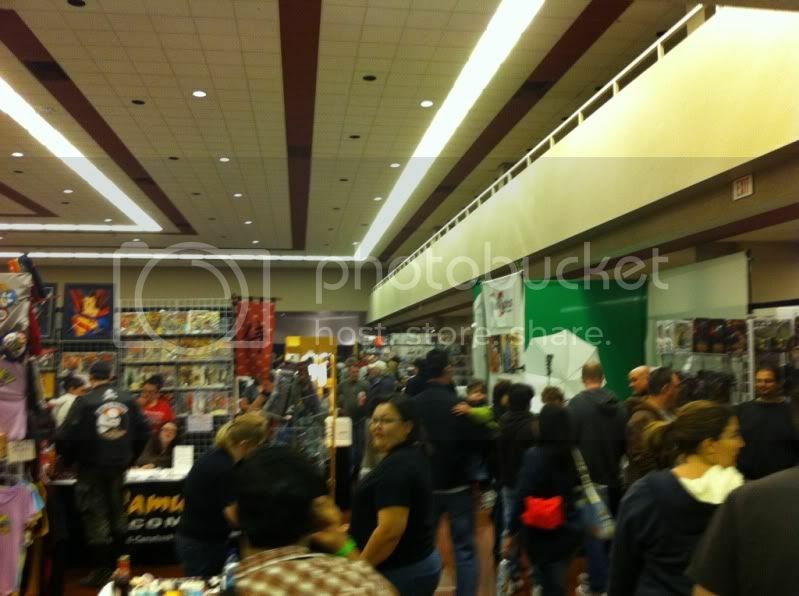 Thanks for the post convention write-up for the AMAZING ARIZONA COMIC CON. Glad you guys could make it out to the event, and had a good time. Really nice pictures! We can’t wait to do it again in January 2012!